We are supposed to choose what we read. Paul advised us in 1 Corinthians 10:31 (NIV) …whatever you do, do it all for the glory of God. Spiritual warfare is not learnt from books or through a preacher. Just like we get messages from some old inspired hymns written hundreds of years ago, books prompt us. If a book is written through an inspired message, it will help us get rid of that which hinders the Holy Spirit from working through us. The Holy Spirit equips us with tools of spiritual warfare. Spiritual warfare is learnt from the Holy Spirit when we consistently yield to Him and shun all evil. When buying a book online, choose Kindle or other electronic format if you wish not to order a physical paper book. One of the best books I have read on a topic of deliverance. ‘The Three Battle Grounds’ is written by Francis Frangipane. The interesting part of this story is how Josiah transformed his family. 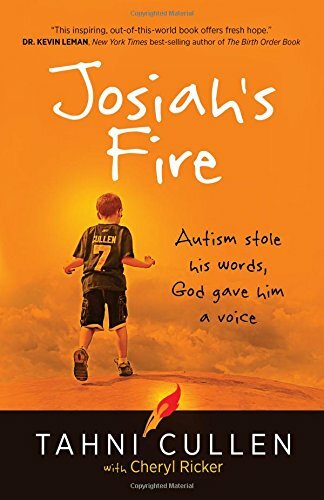 I have read several biographical stories but Josiah’s Fire is one of the best. It has got lots of Words of knowledge which is clearly coming from a spiritual gift. Messages flows out like a spring of precious water. It’s very humbling to know that they are coming from this young boy who can’t even speak. He developed a personal relationship with God and this book has what he shares with his family. It sounds very fascinating and inspired.